Body of lens cover has been made of polymer. 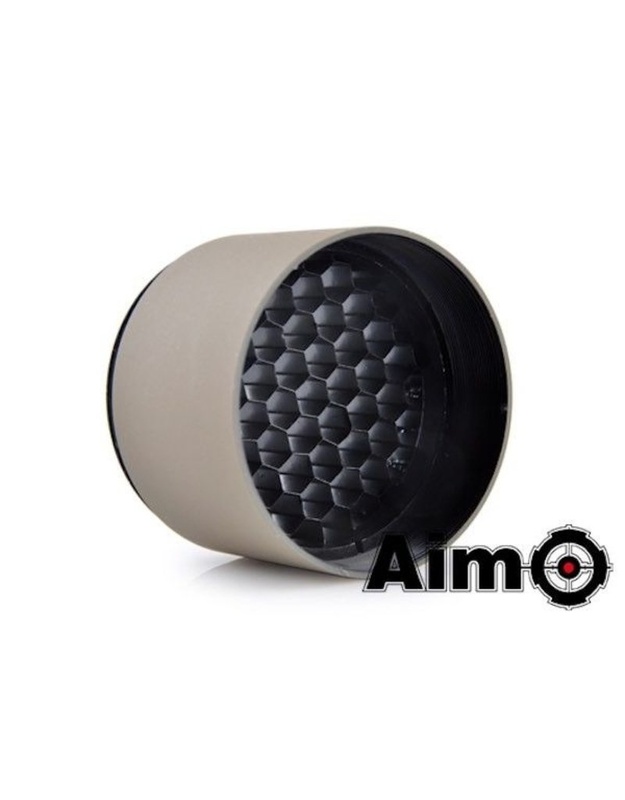 Anti-glint and anti-glare honeycomb cells protect optic against damage and are made from metal. 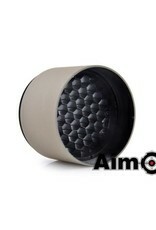 It's designed to mount to riflescopes with 40mm lens. 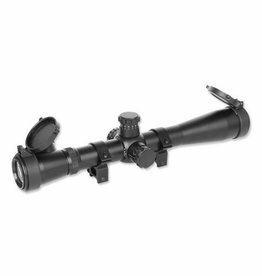 Scope with variable magnification from 3.5 to 10x and 40 mm eyepiece diameter. The set includes a 20 mm rail mounts, composite flip up covers and micro fibre cloth.